Wayne County Community College District has partnered with Davenport University to include Davenport in the University Center at the district’s Western Campus in Belleville. As part of the agreement, students who earn their associate degrees at the community college will be able to transfer their credits to a bachelor’s degree program at Davenport and continue their studies at the same location. “Students benefit from new programs that will be developed by the two institutions, and from the first-class facilities and services offered by (Wayne County Community College District), as well as Davenport’s own student services and academic programs,” says Richard Pappas, president of Davenport University. Davenport students attending classes at the Belleville campus will have access to the university’s services, including admissions and advising appointments, financial aid assistance, and career services, as well as access to Wayne County Community College District’s amenities such as library services, security, and bookstore. Bachelor’s degree programs to be offered within the University Center include Network Management and Design, and Medical Case Management. 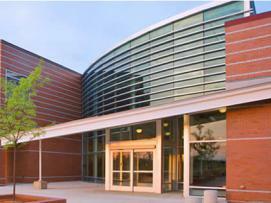 Wayne County Community College District, the largest urban community college in Michigan, has six campus locations. Nearly 72,000 students attend the district annually. Davenport, based in Grand Rapids, has around 8,400 students and operates several campuses, including locations in Livonia, Warren, Flint, Lansing, and Midland.